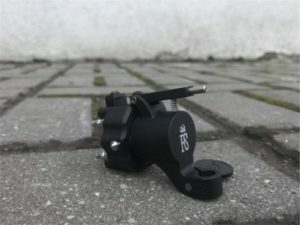 Rotary devices for tattoos differ from induction machines by the presence of a small powerful rotor. Due to this special feature, an artist can easily adjust speed of the needle movement and, additionally, the force of its impact. The needle of the simplest rotary device, plunged into special paint, penetrates into the skin by about 2 mm at a speed of 50 to 1000 times per minute. 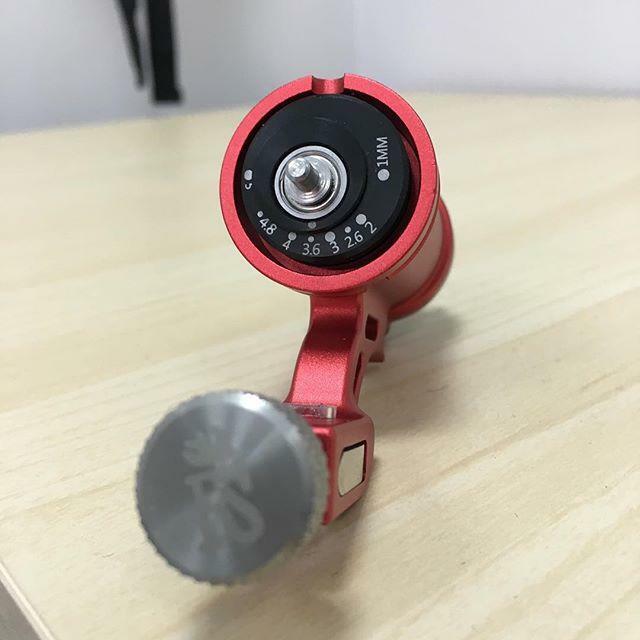 Red KEG – Rotary tattoo machine Variable works at a speed of 8 000 RMP and makes 1 – 5 mm stroke! It means that a client never gets any painful feelings. Due to the fast operation the device vibrates slightly. The person, working with this machine does not feel tiredness, and the client relaxes also. This unit serves better for making lines and permanent make-up. Shading with it is a longer procedure that can cause slight pain. 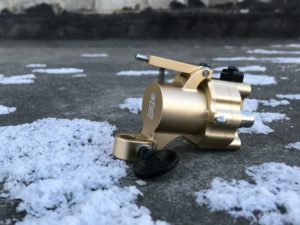 This direct drive device works at voltage of 6 –13 V. Thanks to its light weight (145 gr) many professionals and artists, just beginning working with tattoos, pick this compact machine.